Get local resources to fight crime. St. Louis had 1,600 officers when Dodson joined. Now it’s much less. De policing – 1/3 – 911 calls 1/3 writing reports. 1/3 – walk a foot beat (this is where there is real reduction in crime by being proactive and meeting with the citizens). My job to be the voice into the next administration and bring that administration up to speed about the crime around the country. 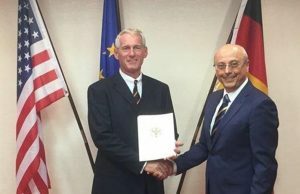 In a ceremony at the Chicago Consulate General on Thursday 30 June 2016, Paul Obernuefemann (l) was officially sworn in as the new German Honorary Consul in St. Louis by German Deputy Consul General, Mario Soos (r). 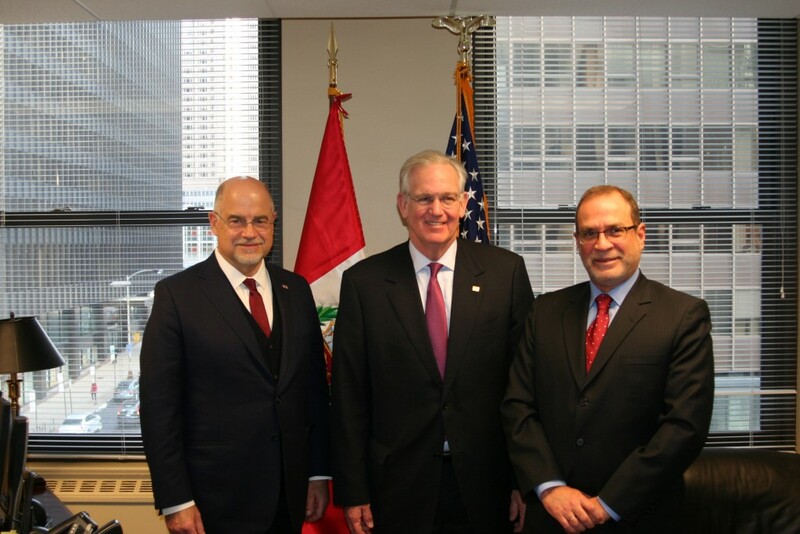 His appointment took effect July 1st, the day after the official retirement of his predecessor of twelve years and appointment sponsor, Lansing Hecker. Article and photograph released for republication without restrictions. 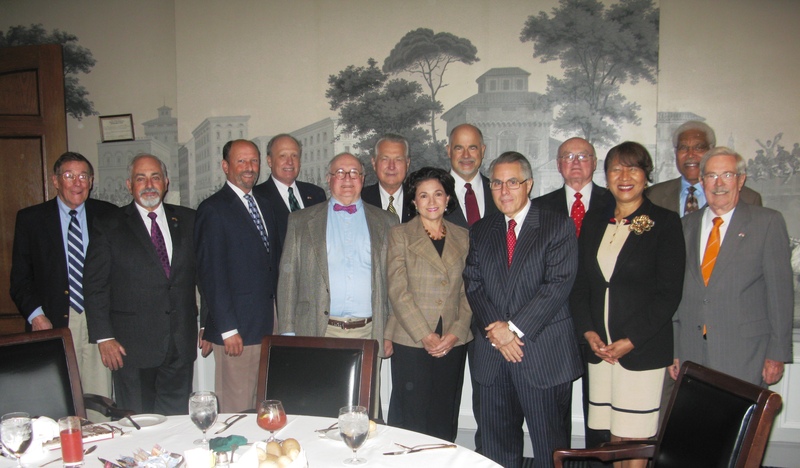 Left-to-right: Honorable Consuls of Japan Emeritus; Spain; Japan; Germany; El Salvador Emeritus; Poland; Honduras; Peru; Italy; Nicaragua; South Korea; Senegal and Netherlands.